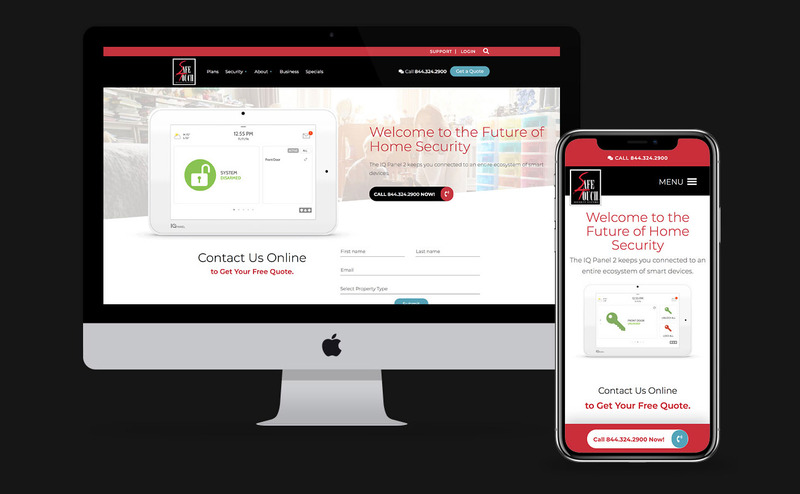 A redesign and rebuild of the SafeTouch Security website added new graphic elements and interactive features. 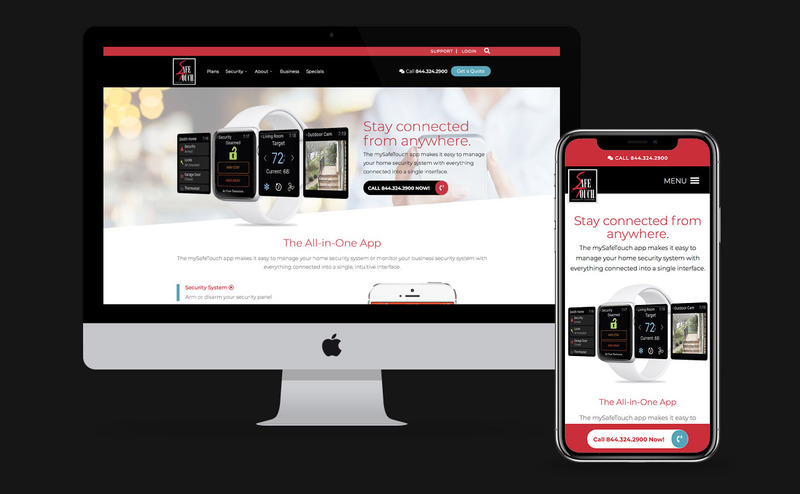 The angled design helps break out of the standard responsive grid layout while animated images of app and panel demos added an interactive aspect that was lacking from the previous website. SafeTouch Security systems is the nation’s largest, independent communications-security company. They got there because of their innovations, guaranteed fast response and incomparable value. Compare them to other alarm companies. Compare their product features, our response time their our track record. You’ll quickly see that SafeTouch is the only choice for guaranteed security.